A plain black rubber mat can look more welcoming if it's painted, and painting rubber mats might not be as difficult as you think. Depending on the kind of wear it gets, you can use primer and exterior house paint or specialty paint from folks who really know rubber--tire and auto accessory dealers. If you want to get creative, you can add lettering and designs for a custom mat. Take the location and use of the rubber mat into consideration. 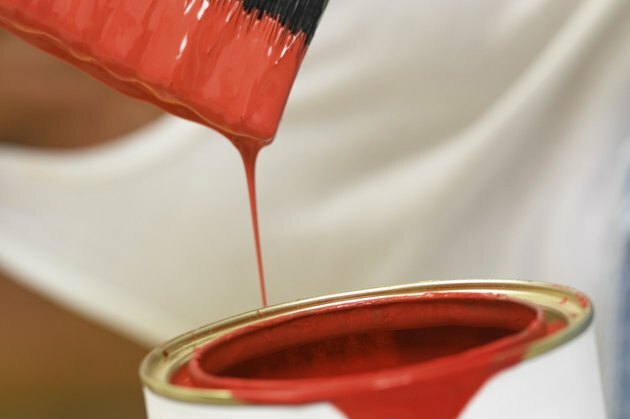 If it sits outside your front door, exposed to the elements and walked on daily, use a durable, weather-proof paint. 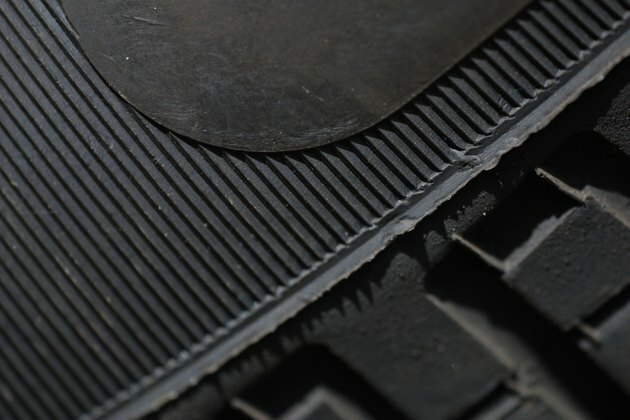 A rubber mat that sits in your garage as a catch-all for wet winter boots won't have to be quite as durable. Rubber is a flexible material, and it requires a flexible paint that won't crack but will hold up well. For light-duty use, 100 percent acrylic exterior house paint will adhere well and remain flexible enough to remain intact. Because the oils in rubber will probably bleed through water-based paint, use a fast drying oil- or shellac-based primer for the first coat. These are available in spray cans as well as in a brushing formula and can be top-coated with acrylic paint. For something relatively small such as a single rubber mat, the spray can is a more convenient option. Some brands of aerosol spray paint can be used on hard-to-paint surfaces such as rubber. Check the label directions for materials the paint can be used on and how to use them. For maximum durability, look for tire paint. These are solvent-based paints designed for painting tires in solid colors, stripes or other designs. Some come in kits, complete with brushes, primer and tire tape if you want to paint straight lines or stripes. 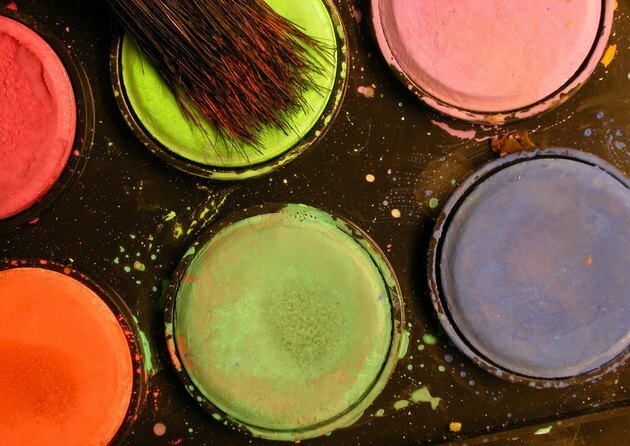 The method you choose depends on the type of paint you use. For any painting process, though, the surface should be clean and dry. If your mat has been used on a floor, it's probably very grimy--and if it's black, you can't see the grime. It should be scrubbed thoroughly with a degreasing detergent such as trisodium phosphate (TSP) or dish washing detergent and rinsed clean. Let the mat dry thoroughly before priming or painting. Whenever you paint, especially with solvent-based paints, do so in a very well-ventilated space. Outside is the easiest. If you can't paint outside, however, open windows and use fans to dissipate fumes quickly. How Can I Remove Black Rubber Stains From Wall Paint?